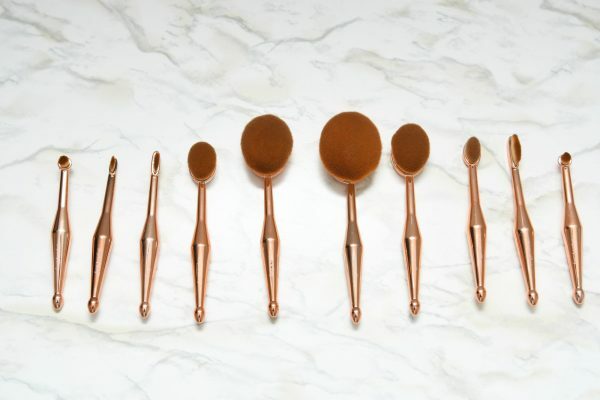 Add a touch of color into your makeup brush set collection with this 10 Piece Rose Gold Oval Brush Set! 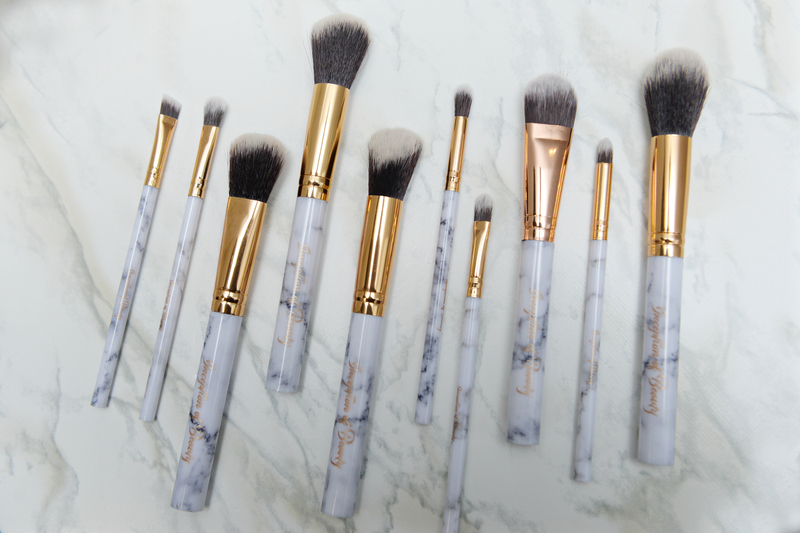 Includes every brush you need to obtain any look you desire. 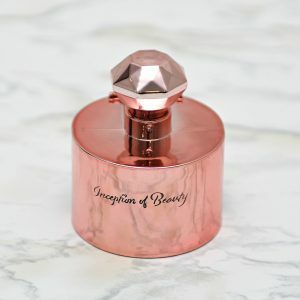 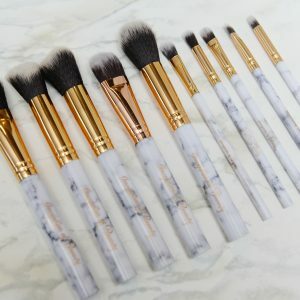 Perfect for applying and blending makeup! 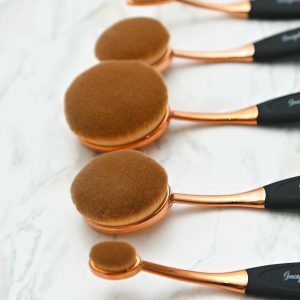 Get the professional look with these easy to use oval brushes.These brushes provide flawless coverage. 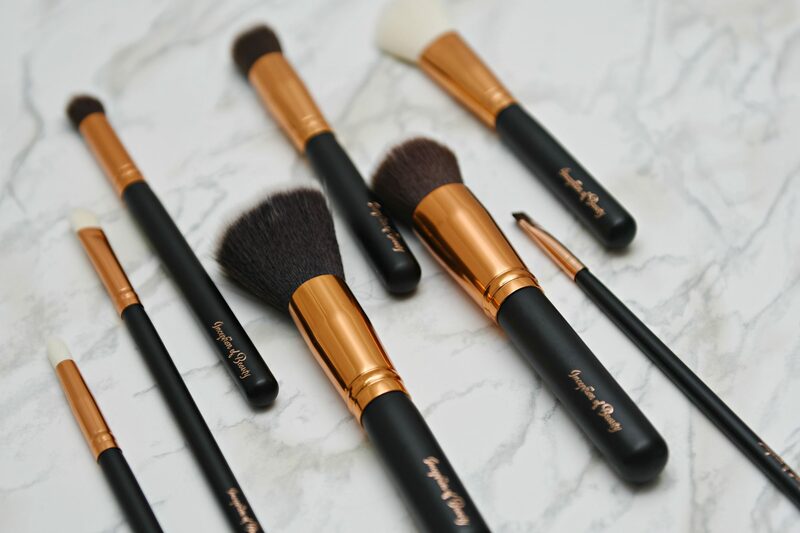 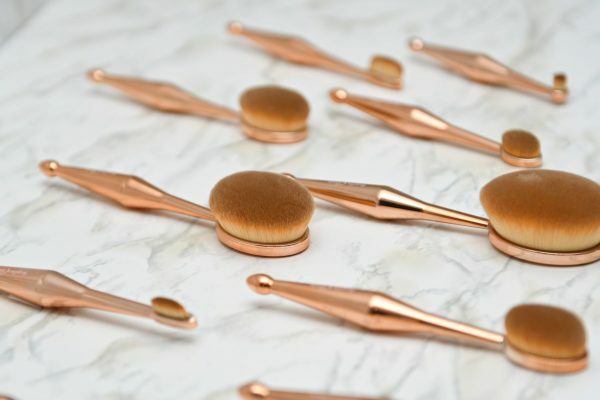 The Oval brushes every girl MUST HAVE! 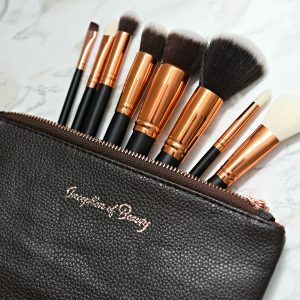 This 10 piece set covers all your needs in your makeup routine from foundation, contour, blush, eye shadow to lip coloring. 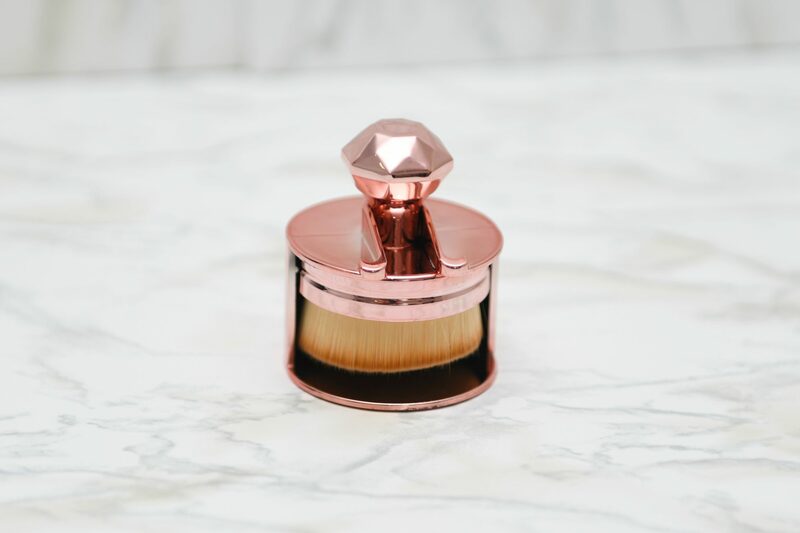 High quality synthetic hair provides superb ability for holding liquids, powders or creams, gives your skin a flawless and airbrushed finish every time. 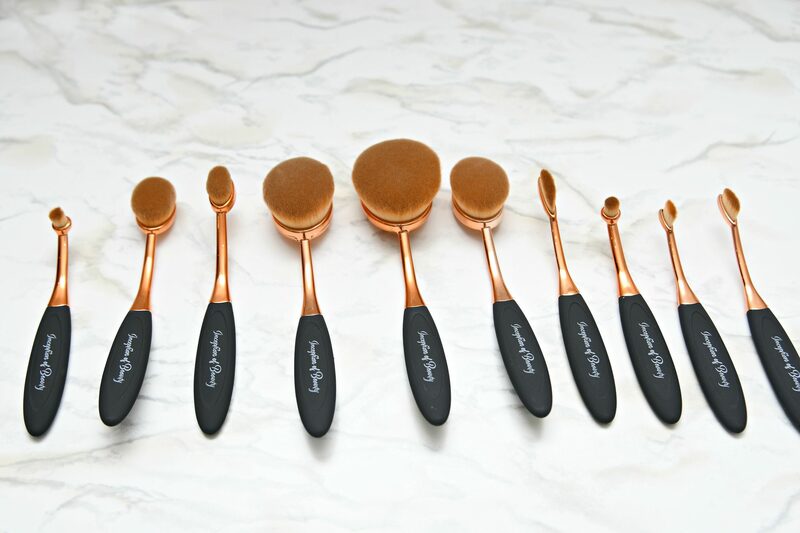 As a result of their size, shape and brush texture, oval brushes offer superior application prowess compared to alternative makeup tools. 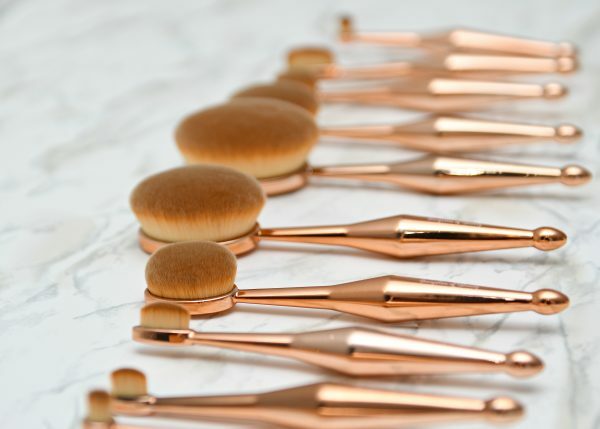 Sheer your foundation with perfect consistency; contour and blend with seamless artistry; use varying shapes and sizes to unlock both broad stroke and precision applications; and get that look with ease.